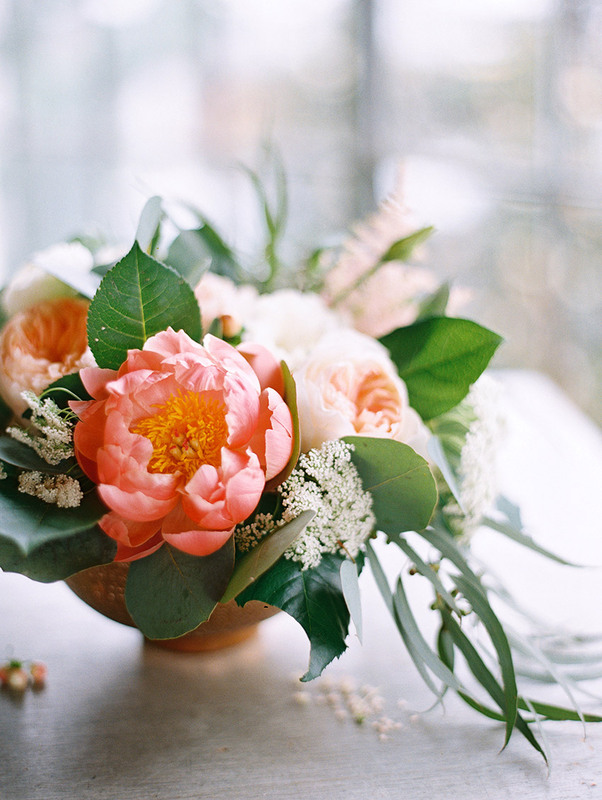 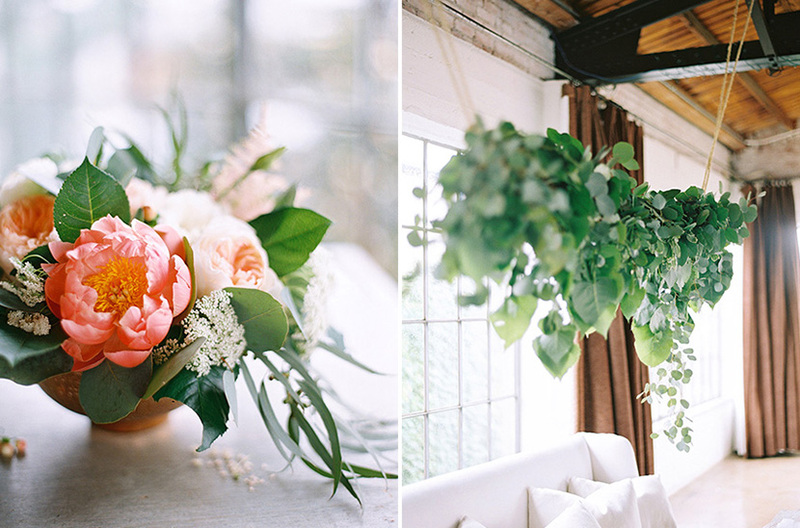 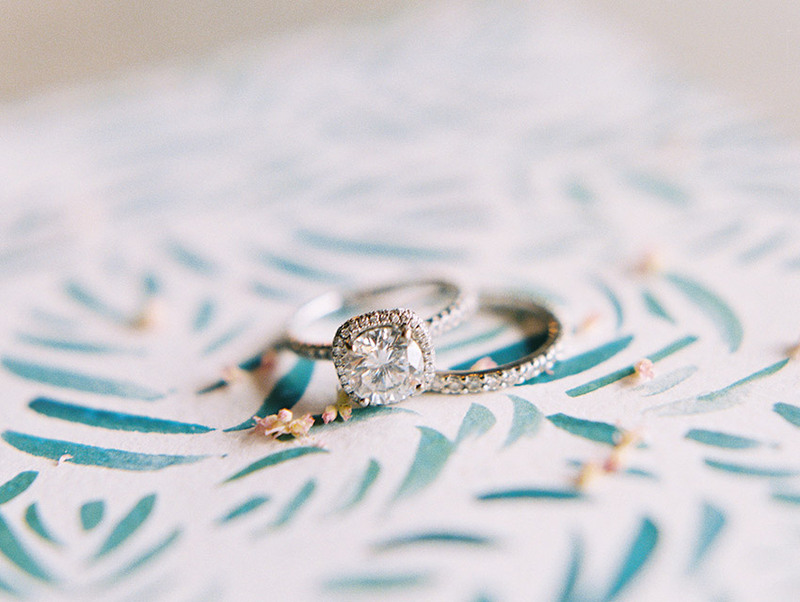 Say hello to this swoon-worthy organic wedding design from Grit & Gold! 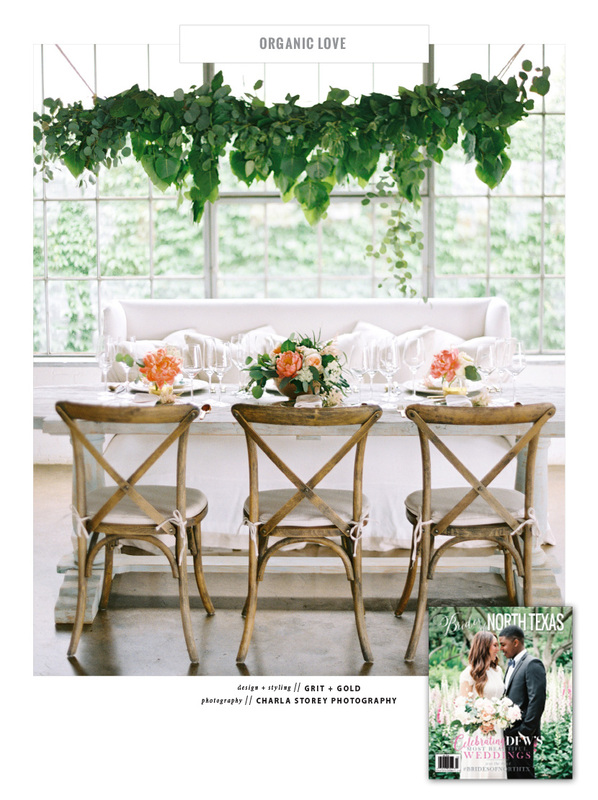 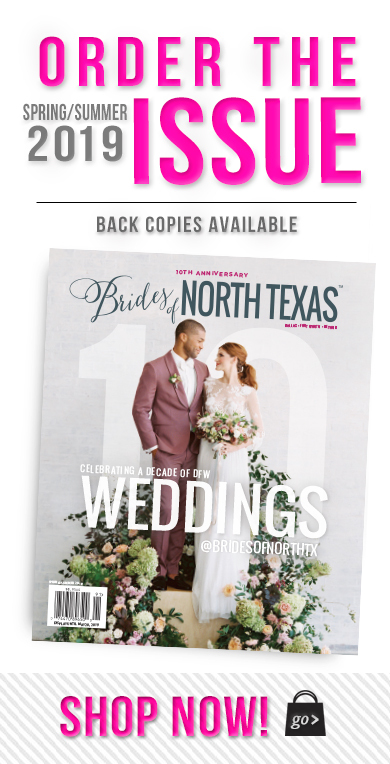 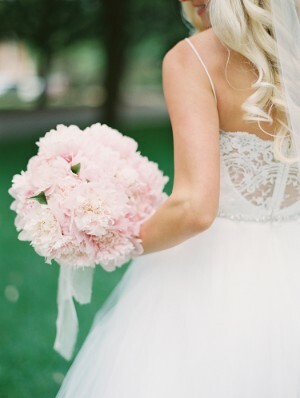 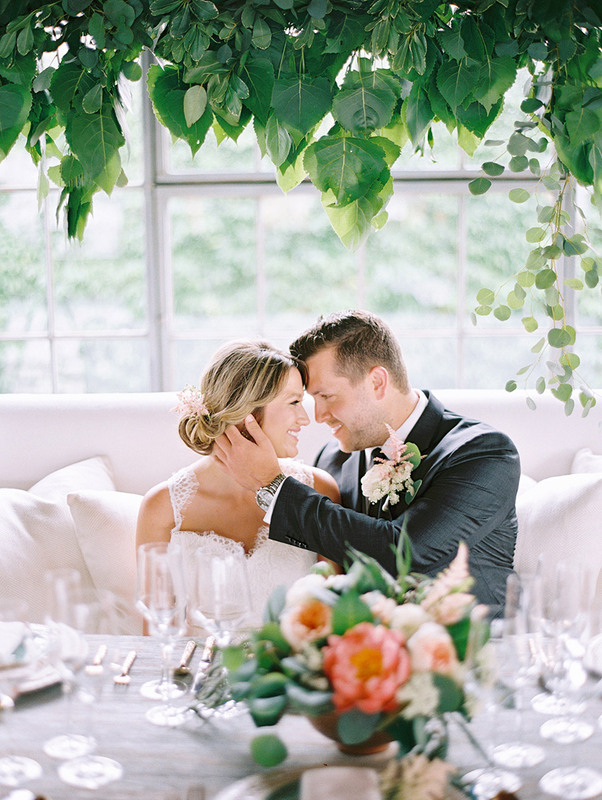 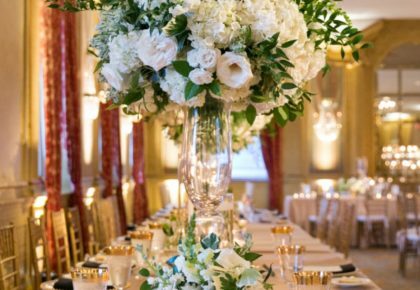 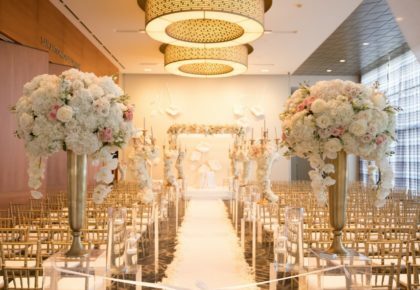 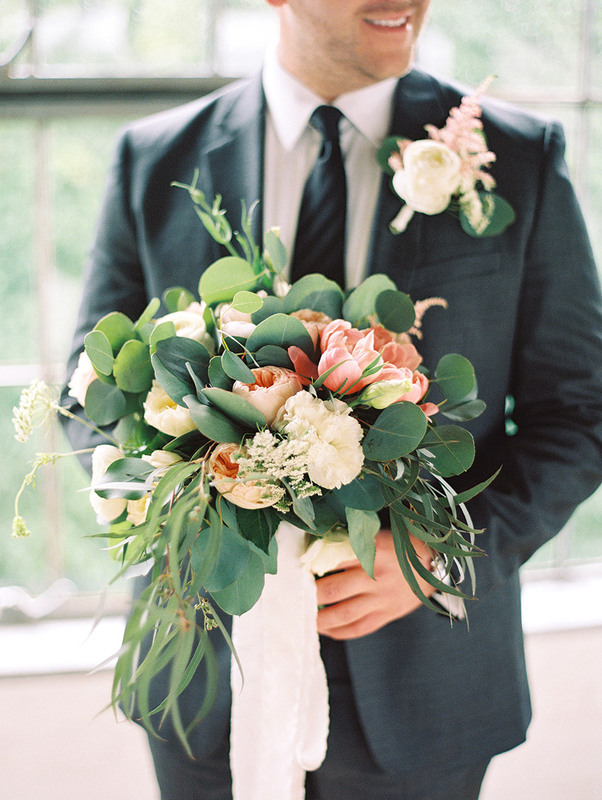 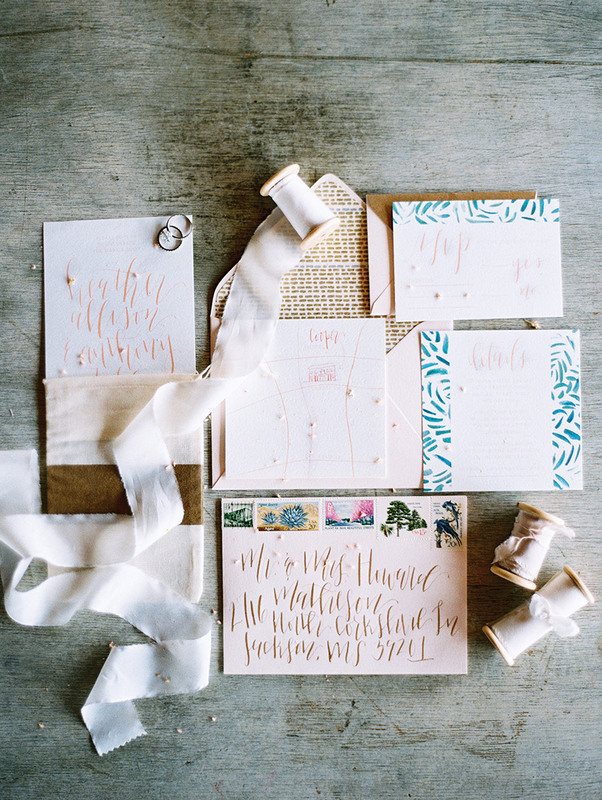 DFW wedding planner Lottie Fowler started with a fresh color palette of peach and patina, and the amazing creations from a gathering of talented artists began to unfold. 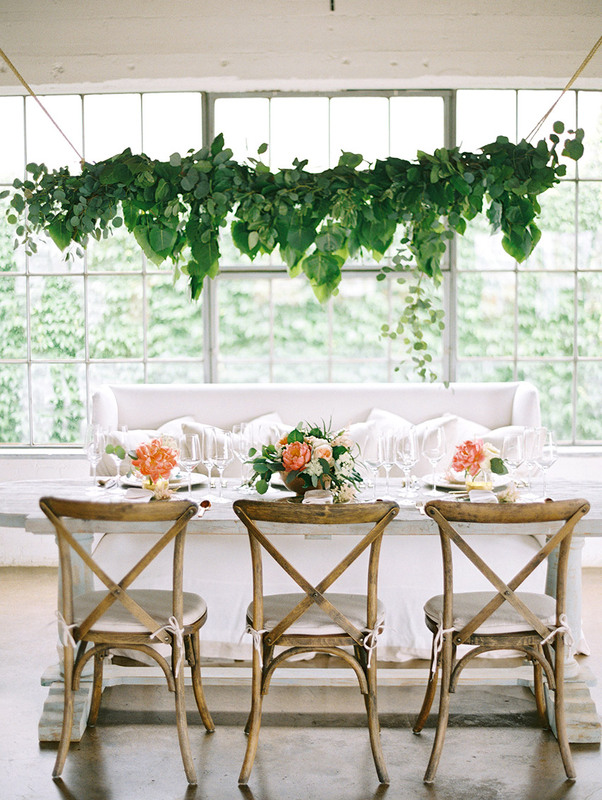 Something Pretty Floral designed a gorgeous hanging greenery installation that was complemented with lush arrangements perfectly set on the wood table. 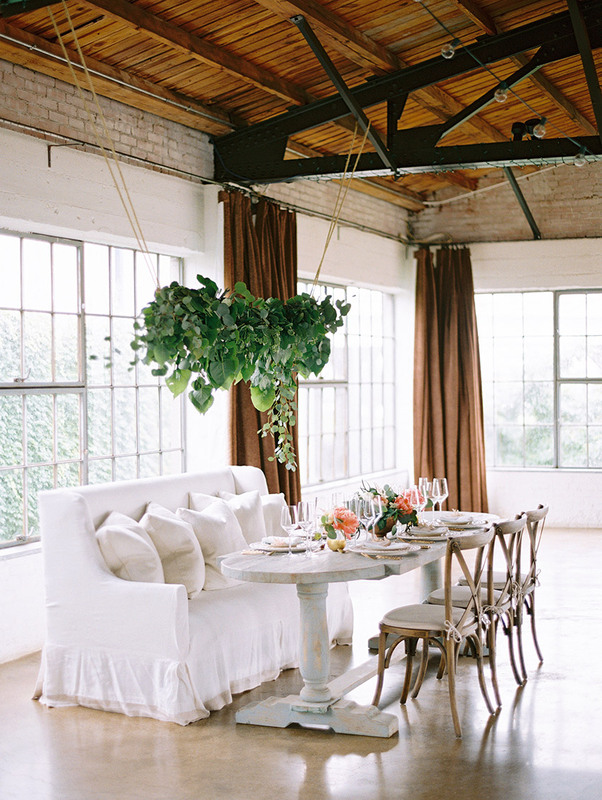 Mix and match furniture from Suite 206 and Posh Couture Rentals provided the perfect combination of color and texture. 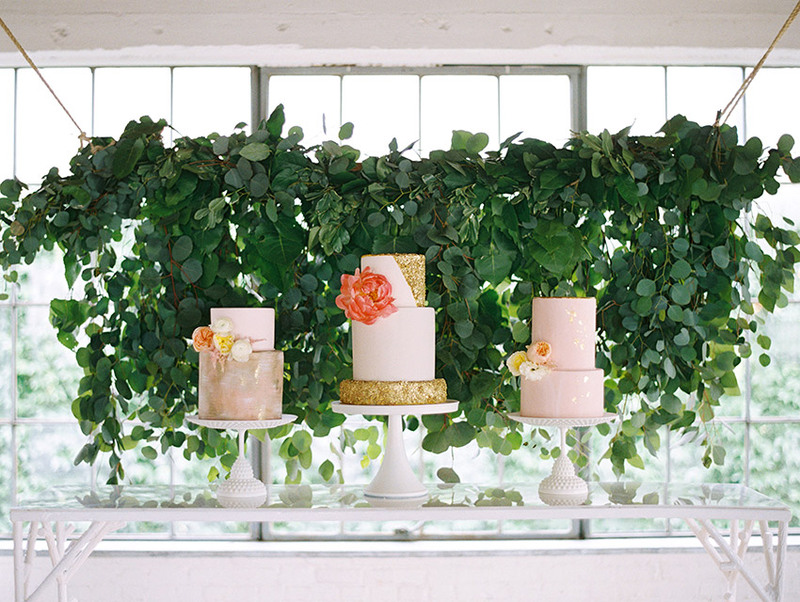 The hanging greenery transformed into a beautiful backdrop for Creme de la Creme’s cake featuring soft hues and mixed metallics, adorned with sweet peonies, ranunculus and garden roses. 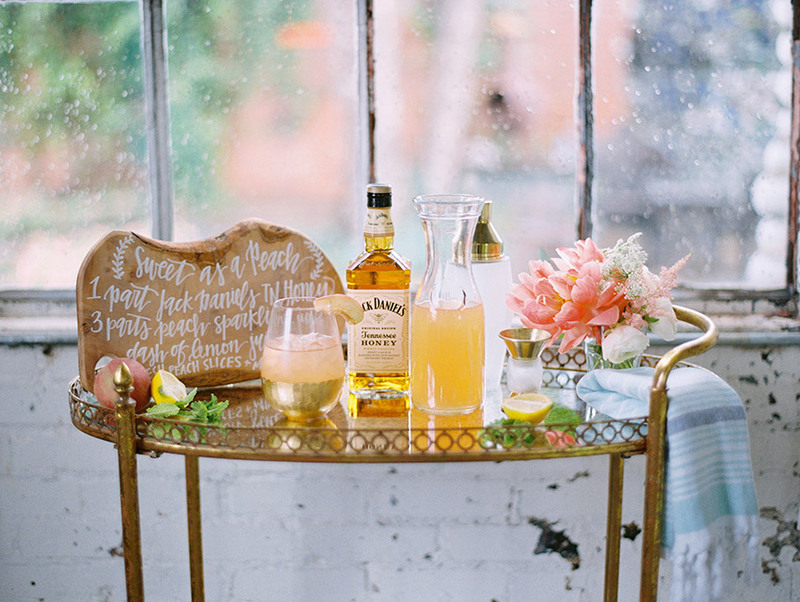 Clara Doyle Designs provided not only a gorgeously creative stationery suite, but hand calligraphed place cards and a custom cocktail recipe cutting board for the stylish bar cart setup. 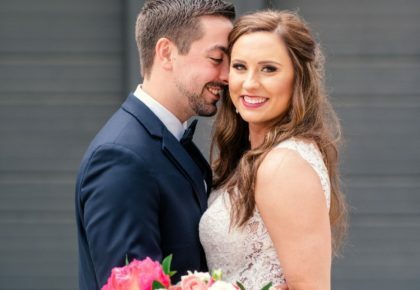 The bride wore a stunning gown from De Ma Fille with hair and makeup done by Brittany Jones Hair & Makeup. 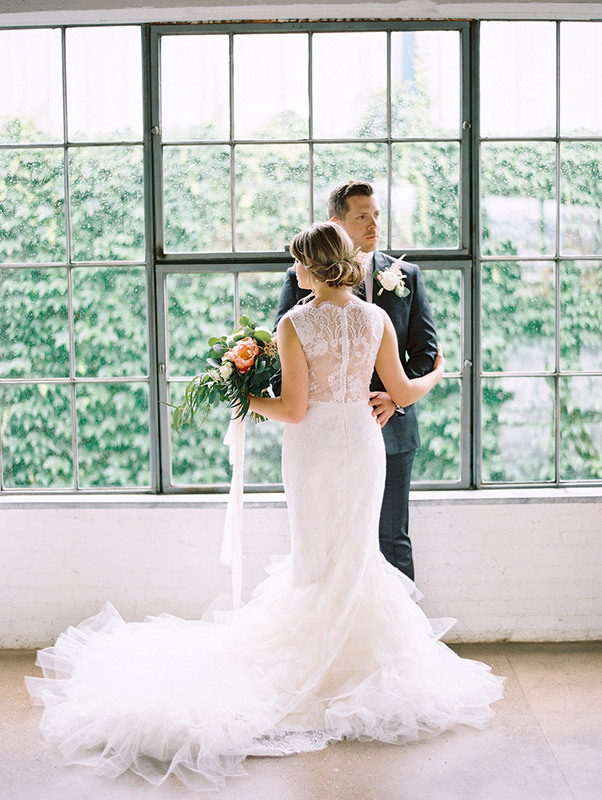 Huge thanks to Charla Storey Photography for capturing such beautiful photos and Beyond for a wonderfully fun behind the scenes video! Cheers!